Dr. Garrett received his medical education from Chicago Medical School, completed his residency at University of California-Davis, and is certified by the American Board of Psychiatry and Neurology, Neurology, Vascular Neurology. 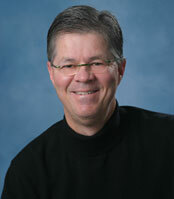 Outside of work Dr. Garrett enjoys playing golf and listening to music. Dr. Stern received her medical education from Northwestern Feinberg School of Medicine, completed her residency at Northwestern (McGaw Center for GME), and is certified by the American Board of Psychiatry and Neurology, Neurology, Clinical Neurology. Dr. Lazarre received her medical education from Indiana University, completed her residency at University of Iowa Hospitals and Clinics, and is certified by the American Board of Psychiatry and Neurology. Dr. Klein received her medical education from Harvard Medical School, completed her residency at University of Iowa Hospitals and Clinics, and is and is certified by the American Board of Psychiatry and Neurology. 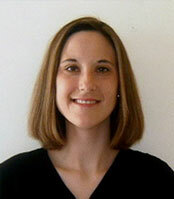 Dr. Amber Orr received her doctorate in nursing practice from the University of Iowa. She is certified by the American Association of Nurse Practitioners as a Family Nurse Practitioner and brings over 5 years of critical care nursing experience to her practice. Outside of work Amber enjoys traveling and photography. Do you need to visit the Mercy Iowa City Comprehensive Headache Care?